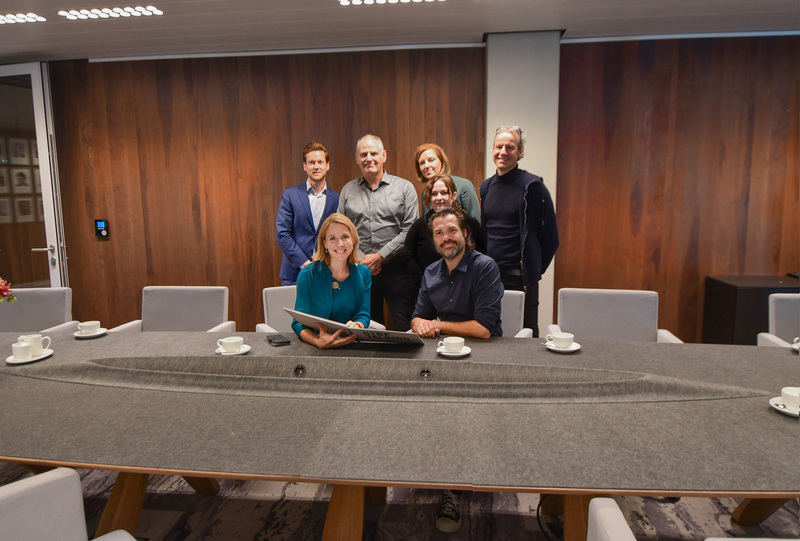 On Sustainability Day 2018 we are very proud of the personal compliments of State Secretary Stientje van Veldhoven for our sustainable furniture designs for Whale Circular Plastic Furniture! In particular for the table, where she herself will work at the Ministry of Water and Infrastructure. 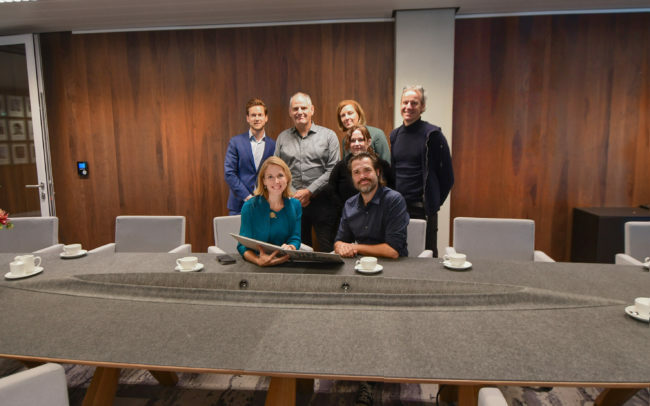 In the presence of all stakeholders of Plastic Whale Circular Furniture, Marius Smit / founder of Plastic Whale, JanWillem de Kam/ Director of Vepa and designers of LAMA Concept / Erik Mantel & Yvonne Laurysen, the Ministry is the first launching partner who placed the Whale table. Proud! The ministry started in 2018 with a important boost for the transition to a climate-neutral and circular economy. “Stop Talking. Let’s start doing!” Plastic Whale contributes by fishing the plastic, raising awareness and making high-quality office furniture. The whale table is a meeting place where conversations start. Part of the proceeds will be invested in local initiatives across the world that tackle the plastic soup problem.